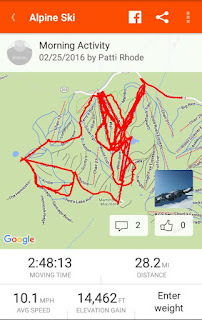 We went skiing at Mammoth Mountain the end of February. The weather was warm and sunny. 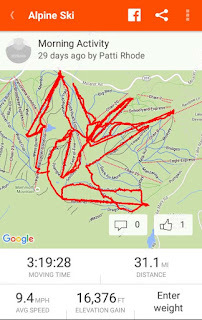 The snow was in good shape as long as you stayed on the groomers. Mammoth is so big that we skied half the mountain one day and the other half the next. We had a great time skiing and visiting with Mitch and Missi. 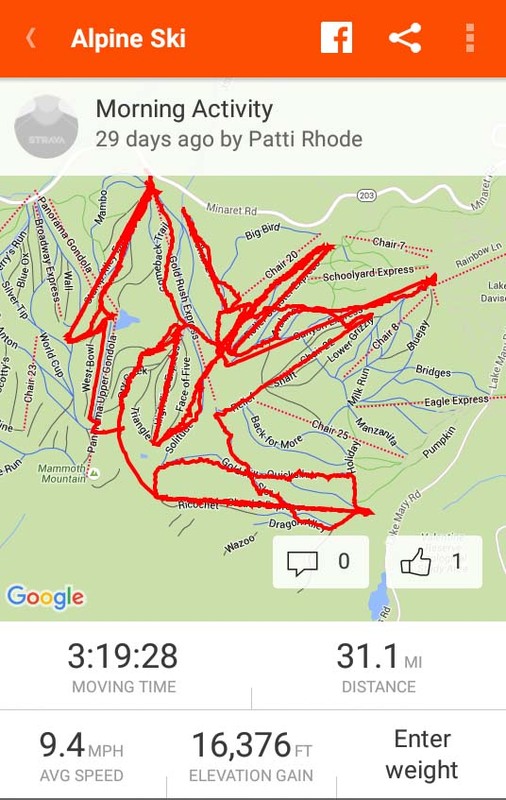 I recorded our skiing on Strava. The app includes GPS tracking so it records where you have been. It's really neat how it maps out your day. Love the pix so fun to follow you thanks!